Meditation on the Self | Fourth Dimension Inc. Individual Self and the Universal Self are one. I am that I in which there is no sense of I.
Enquiring into the nature and source of the I-sense in us is the direct path to enlightenment taught by this well-known spiritual master of India. Experiences such as, ‘I went; I came; I was; I did’ come naturally to everyone. From these experiences, does it not appear that the consciousness ‘I’ is the subject of those various acts? Enquiry into the true nature of that consciousness, and remaining as oneself is the way to understand, through enquiry, one’s true nature-one should enquire keenly thus: “Now, what is it that rises as ‘I’?” Then, there would shine in the Heart a kind of wordless illumination of the form ‘I-I’. That is, there would shine of its own accord the pure consciousness which is unlimited and one, the limited and the many thoughts having disappeared. If one remains quiescent without abandoning that (experience), the egoity, the individual sense, of the form ‘I am the body’ will be totally destroyed, and at the end the final thought, viz., the ‘I-form’ also will be quenched like the fire that burns camphor. Whatever thoughts arise as obstacles to one’s sadhana (spiritual discipline), the mind should not be allowed to go in their direction, but should be made to rest in one’s Self which is the Atman; one should remain as witness to whatever happens, adopting the attitude ‘Let whatever strange things happen, happen; let us see!’ This should be one’s practice. In other words, one should not identify oneself with appearances; one should never relinquish one’s Self. One should not give room in the mind for such thoughts as: ‘Is this good? Or, is that good? Can this be done? Or, can that be done?’ One should be vigilant even before such thoughts arise and make the mind stay in its native state. If any little room is given, such a disturbed mind will do harm to us while posing as our friend; like the foe appearing to be a friend, it will topple us down. Is it not because one forgets one’s Self that such thoughts arise and cause more and more evil? 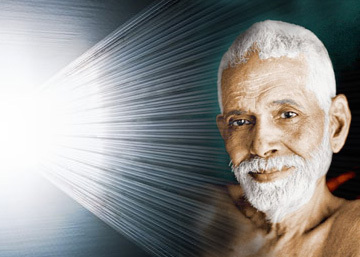 While it is true that to think through discrimination, ‘I do not do anything; all actions are performed by the instruments’, is a means to prevent the mind from flowing along thought vasanas, does it not also follow that only if the mind flows along thought vasanas that it must be restrained through discrimination as stated before? Can the mind that remains in the Self-state think as ‘I’ and as ‘I behave empirically thus and thus’? In all manner of ways possible one should endeavour gradually not to forget one’s (true) Self that is God. If that is accomplished, all will be accomplished. The mind should not be directed to any other matter. Even though one may perform, like a mad person, the actions that are the result of prarabdha karma, one should retain the mind in the Self-state without letting the thought ‘I do’ arise. Have not countless bhaktas (devotees) performed their numerous empirical functions with an attitude of indifference. Q. Although I have listened to the explanation of the characteristics of enquiry in such great detail, my mind has not gained even a little peace. What is the reason for this? R.M. : The reason is the absence of strength or one-pointedness of the mind. Q. What is the reason for the absence of mental strength? R.M. : The means that make one qualified for enquiry are meditation, yoga, etc. One should gain proficiency in these through graded practice, and thus secure a stream of mental modes that is natural and helpful. When the mind that has become ripe in this manner, hears about this enquiry, it will at once realize its true nature which is the Self, and remain in perfect peace, without deviating from that state. To a mind which has not become ripe, immediate realization and peace are hard to gain through hearing about the enquiry. Yet, if one practises the means for mind control for some time, peace of mind can be obtained eventually.